Kount me among those in Kiner’s Korner. As Rev.Al I say Amen to your excellent post.Well done. As Rev.Al I say Amen to your excellent post .Well done. Great job. Ralph’s voice impacted many of us as we grew up with baseball and the Mets. It’s a sad day but memories of Ralph will always put a smile on my face. Ralph Kiner was knowledgeable and funny. I have great memories of his stories about Branch Rickey (Mr. Rickey). was evident and humorous. His malaprops were always warmly remembered. A nod should be given to Gary Cohen, who helped to make Ralph’s later years in the booth a joy. With Lindsay, Murph and Ralph gone, a cherished part of my younger days as a Mets fan is now but a memory. You’ve summed it up beautifully, Paul. I loved listening to Kiner’s stories and they have been continued to be a highlight of Mets’ broadcasts for so many years. He was warm without being too sappy, and insightful without being too cynical. It’s also great to hear he was a nice guy behind the scenes too. I’ll always remember my grandfather and I staying tuned to watch Kiner’s Korner. Ralph was the last connection to the wonderful summers back in the 70’s. He will be missed. Thank you Paul for the thoughtful article to summarize some of the important parts of his long and fulfilling life. 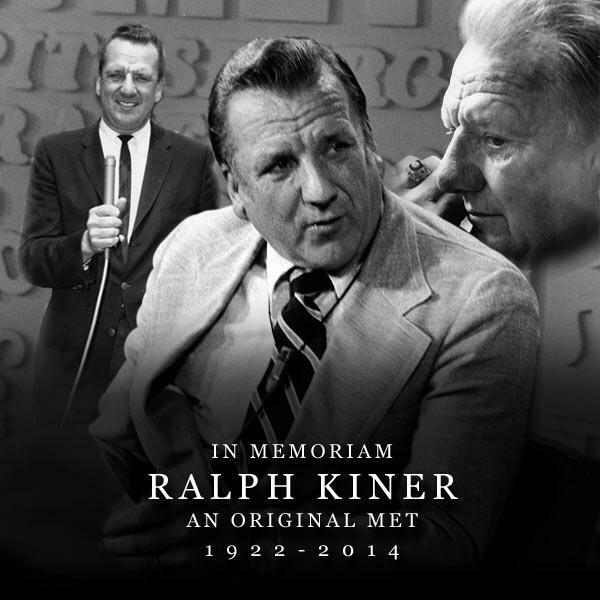 Ralph Kiner, RIP. Like the others, I grew up listening to Ralph, Bob Murphy, and Lindsey Nelson (remember the jackets?). I’ll never forget the malaprops – Darryl Blackberry and Gary Cooper (AKA, Carter). I feel another piece of my innocence has past. Back when Kiner, Murphy and Nelson were broadcasting, their humility and spirit kept things interesting for loyal Mets fans, even when there were some tough times. Ralph, along with Bob and Lindsey are truly missed as well as our Mets heroes who have passed as well (like Carter, Agee, Clendenon). Lets hope that the 2014 Mets team and announcers remember how well Kiner served and embody the same values our children can cherish like we did as older Mets fans. Mixed in with his famous stumbles were some great insight. Even after listening to him for 50 years, he still told stories I had never heard before. 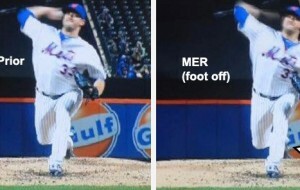 Sometimes it’s easy for us Mets fans to look at our bumbling team and feel cursed. On the broadcasting front, though, we’ve been blessed beyond all reasonable expectations. We had Bob Murphy, who passed the torch to Cohen. We had Tim McCarver in his prime. And we had 52 years of Ralph Kiner. It doesn’t get much better than that. Well done, Paul — thanks for the walk down memory lane. Ralph never played a game for the Mets yet is far better loved for his broadcast career in Queens than he is for his HoF playing career in Pittsburgh. I know a very old lady who lived near Ralph in Pittsburgh and listening to her you can be sure Ralph was as good in life as he was on the field and in the booth. An incredible man. heaven will be loaded with new baseball tales. I’ve been an avid Met fan since 1965. The one constant joy each season has been listening to Ralph Kiner. He made guest appearances up to this last baseball season of his justly celebrated life. Not only was he a great storyteller, what came through always was his generosity of soul–a wonderful man.